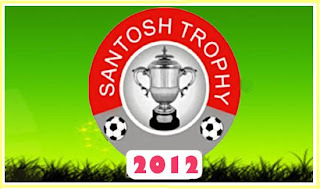 Cuttack, May 23 : Kerala qualified for the semifinals after notching up a 3-1 victory over Maharashtra in the 66th Santosh Trophy National Football Championships at the Barabati Stadium on Tuesday. Kerala came from behind to beat Maharashtra 3-1 to top the Group A Quarterfinal round. After this win, Kerala finished on seven points from three matches while Maharashtra ended on six points. Maharashtra, who won their first two matches and needed a draw to make it to the last four, took the lead in the 8th minute with Kailash Patil converting from the spot. But Kerala hit back soon as Sujit equalised in the 17th minute. In the second half, Kannan scored twice to seal the issue for Kerala. He scored his first in the 72nd minute and then put it beyond Maharashtra's reach scoring in the 81st minute. In the Group B decider at the Kalinga Stadium in Bhubaneswar, Manipur played a 2-2 draw with Goa and advanced to the semifinal piping Goa on better goal difference. Both teams finished on 7 points from 3 ties but Manipur had better goal difference (+7) in comparison to Goa's (+3). For Manipur, Thoi Singh scored the first goal in the 19th minute which was neutralized by Gabriel Fernandes in the 26th minute. 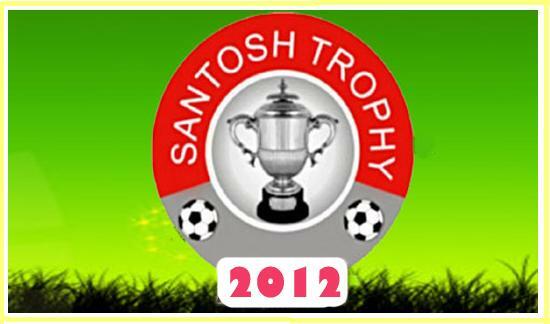 Prathesh Shirodkar put Goa in the lead in 45th minute but Govin Singh restored parity in the 70th minute. Meanwhile, defending champions West Bengal, who had earlier bowed out of the tournament, defeated Punjab 2-1 in their last Group League match. After Gurmeet Singh (16th minute) put Punjab in the lead, Mohd Mukhtar and Tapan Maity scored one apiece for West Bengal in the 17th and the 87th minute. West Bengal finished on four points from 3 matches while Punjab couldn't open their account. In an inconsequential match, Meghalaya beat Uttar Pradesh 3-0. Ronnie scored the first goal for Meghalaya in the 7th minute, while Bansharai doubled the score in the 18th minute. Timmy Ryngkhlem scored the third goal in the 82nd minute. Meghalaya finished on three points from three matches while Uttar Pradesh lost all their matches.